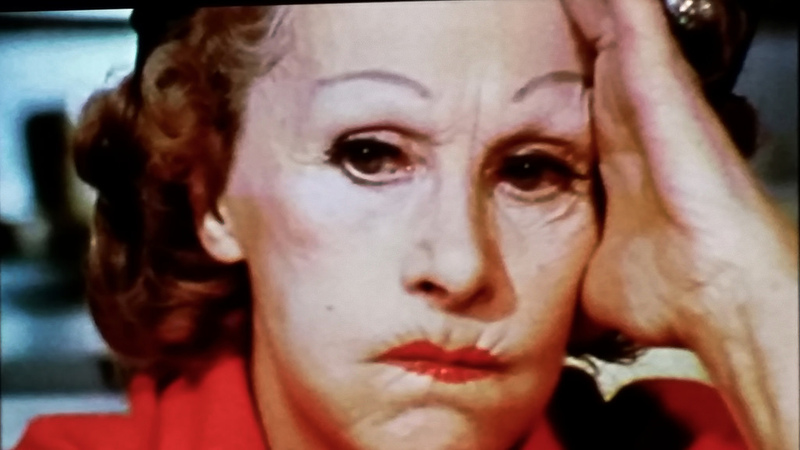 Fans of Stargayzing are no doubt familiar with the culinary spectacle of the dyspeptic doyenne of English gastronomy, Miss Fanny Cradock, who brought elements of Italian and French cuisine, as well as a generous soupçon of the Grande Guignol to the hungry people of England. Or, to put it another way: she was your garden variety drag queen with a cooking show. 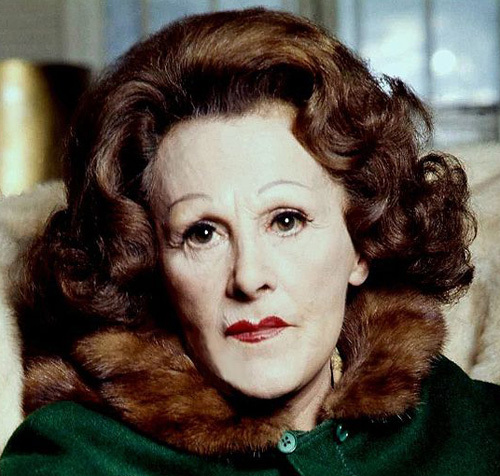 Cradock was at the height of her popularity in the 1960s and 1970s, before being unceremoniously banished from the BBC for vituperatively criticizing the menu of an average English housewife on national TV (paradoxically, exactly the kind of conflict that is a prerequisite for TV success nowadays). I guess in her sour, imperious, fashion—which was completely authentic by the way—Fanny was a trailblazer, anticipating the mood and tone of reality TV and popular culture in general by nearly thirty years. An action shot: Fanny’s fast hand off to Sarah, the Unfortunate. Note there is no eye contact whatsoever. Whenever I watch Fanny’s videos, (which is an activity I by no means confine to the holiday season), I find myself thinking a great deal about her beleaguered assistant Sarah, who in addition to being made to wear a Branch Davidian-chic caftan had to endure the brunt of Fanny’s intemperateness; for when it came to cooking, Fanny would not settle for anything less than perfection. Fifteen seconds watching any of Miss Cradock’s sublime lo-fi videos is all the proof one needs to know that doing Miss Cradock’s bidding was a task of Sisyphean misery. When I think of the real “Cinderella of Christmas cooking,” I think not of mincemeat, but rather of the unfortunate Sarah, whom I imagine went directly from her tenure with Miss Fanny into a Dickensian asylum. 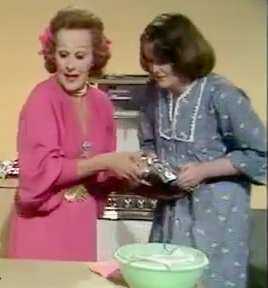 You see, unlike Cinderella, when one was indentured to Fanny Cradock, the day’s chores were never rewarded with the chance to go to a ball, only the thankless promise of endless kitchen violence and imperious remonstrances of a baking gargoyle.